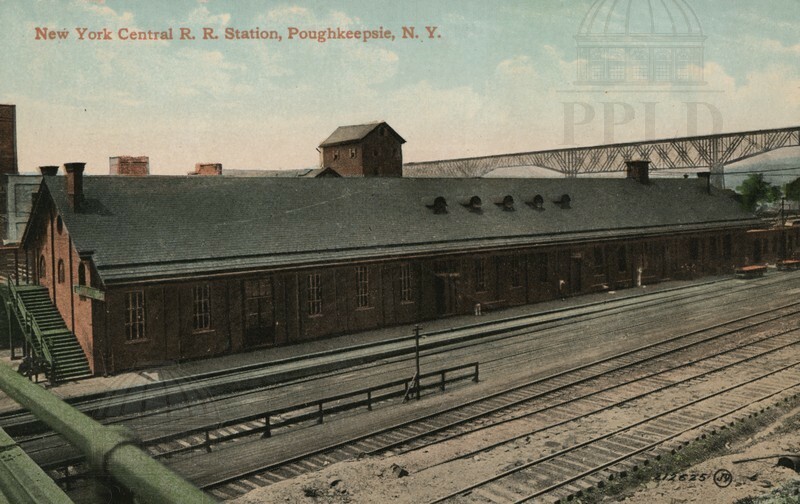 Color-tinted photograph of the New York Central Railroad Station in Poughkeepsie. The Poughkeepsie RR Bridge is visible in the background. Built c. 1866. “New York Central R.R. Station,” Main & Market: Sights and Sounds of the Queen City and Beyond, accessed April 23, 2019, http://mainandmarket.poklib.org/items/show/5175.